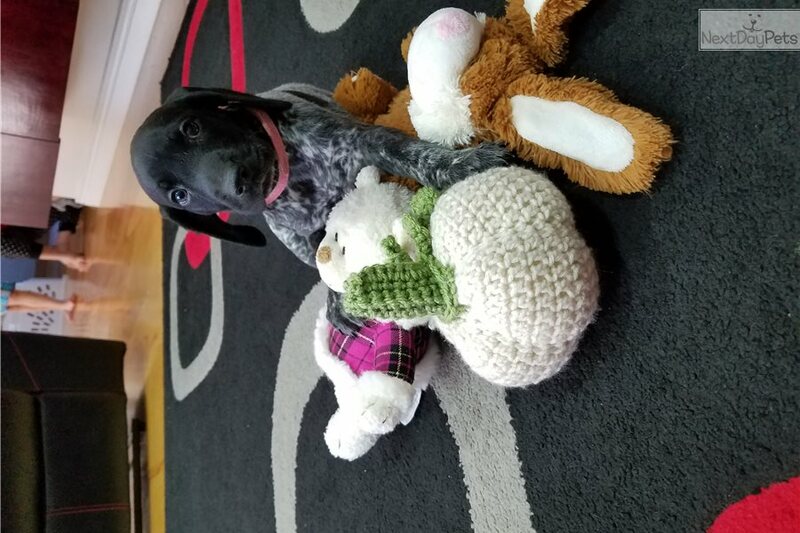 This German Shorthaired Pointer nicknamed Dark Pink sold and went to a new family. 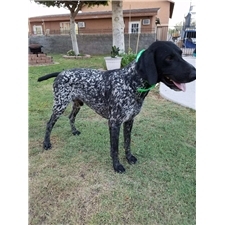 We emphasize on hunting as we are both hunters and as our breeding dogs result from the rigorous German selection that promotes the German shorthaired pointer as a versatile hunting dog. Or puppies are also lovely companions, so when not hunting, they can be a great partner for you everyday activities. We encourage our puppy owners to keep them close to the family as this can create a tight bond between the hunter and his 4-legged partner, thus strengthening the hunter-dog team. Or puppies are raised in the home and they are socialized.The Mother is champion the father has the best european champions in his pedigree.